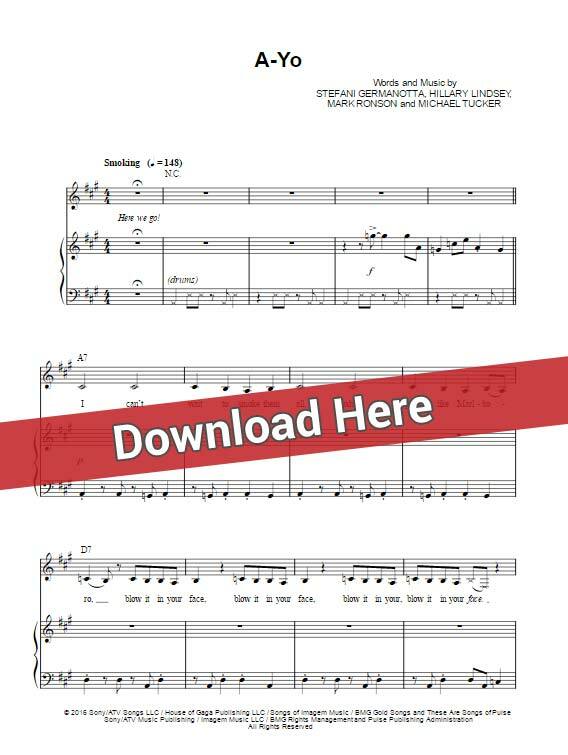 Download and learn Lady Gaga A Yo Sheet Music, Chords, Piano Notes. Start performing this popular song in minutes with these score and free video tutorial. Easy to learn to perform this 7-page score arranged for voice, vocals and keyboard, originally in A Major.